How can you add more value to your business? What value can you add to hold onto existing clients and attract new ones? In the face of a potentially shrinking market for your services what can you do to maintain and grow your business? Last week I talked about the market for freelance web design and development services and how I think the market is shrinking. It’s changing in a way that requires us to change with it. This is a topic I talked about on and off in 2014 and it’s a topic I’ve thought about for several years. I wasn’t sure if my observations made sense or rather if the conclusions I was drawing from them made sense. Then I came across an article by Ben Thompson of Stretechery about the smiling curve. The term was new to me and I’ll fill you in if it’s new to you as well. I’m not sure if my observations have anything to do with a smiling curve as Ben discusses it, but it seems to fit with what I think is happening. A smiling curve is a graph measuring value (y-axis) against the value chain (x-axis) of an industry. It’s mainly been used to talk about the tech industry. The following image is an example. The idea is that the value in the market resides at the ends and not in the middle of the curve. The high end points and low middleof the curve approximates a smiling face, hence the name. Initially the middle added value, but technology has made it possible for the two ends to connect directly removing the need for the middle. The value drops out of the middle and moves both right and left. I think freelancers and small agencies are sitting in the middle and we need to move left or right along the curve to add more value to our business. Ben’s post extended talk of the smiling curve to today’s publishing industry. In the sagging middle are publishers who historically delivered content to consumers. At the high end on the right sit companies like Google, Facebook, and Twitter who aggregate content and make it easier for people to discover. The high end on the left represents the content creators and the more focused publishers. Their value resides in how difficult it is to duplicate what they do. In the case of the publishing industry, the internet makes distribution easy. This was the domain of publishers and a necessity for the two ends to reach each other, but technology can now do what the publisher once did. For example I published this post and recording on my own. I didn’t need to go through a publisher in order for you to find either. In 2013 I self-published a book. It never went through a publisher. I distribute it myself here on the site. That would have been near impossible even 10 years ago. In a follow up post, Ben offered Henry Ford as an example of another smiling curve. It helped me better understand how this all applies to us so I’ll share it here. Cars existed before Ford, but they were custom built and expensive. When they broke down they were difficult to repair and often required an expert. That doesn’t sound all that different from the custom website landscape today. Henry Ford didn’t invent the automobile. He introduced scale to the process of manufacturing automibles. He built one car, the Model-T. He built it with interchangeable parts and offered it in exactly one color. The scale allowed Ford to sell the Model-T at a much lower price than the custom cars the competition was building. Ford was able to continue to drive the price down in the following years. He opened the market to new customers causing it to grow and he pulled customers from the segment of the market that previously bought custom cars. 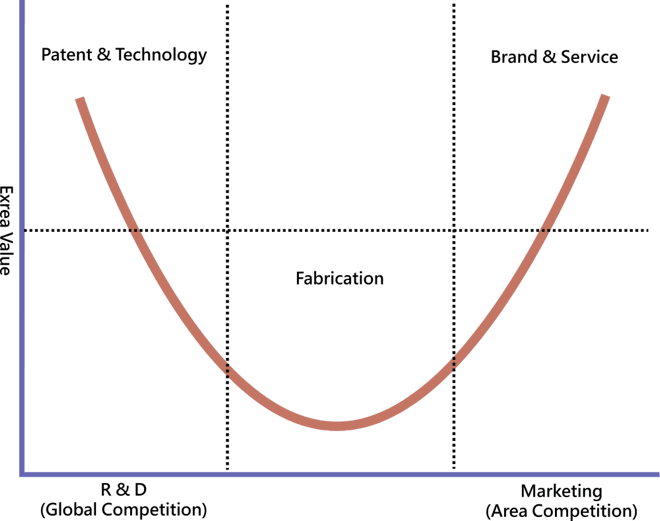 Again I’m not sure if what I’m observing about our industry fits into a smiling curve, but it sure feels like it does. It feels like our part of the market is shrinking even as the overall market is increasing. It feels like our market is shrinking as clients move either left or right along the curve. Where Ford introduced scale and a lower price, off the shelf site solutions are working at scale and lowering prices for our clients. You can generate a lot more websites from an off the shelf theme than you can from a custom design. We have to move right or left if we want to retain what value we have and add new value. I don’t expect either of us will be out of business tomorrow if we change nothing, but a few years down the line we easily could. I think we need to do more than make a few tweaks to how we do things or add an extra service. I think it means making some significant changes to our business and revenue models. The changes will take time so we might as well start now. Creating DIY tools like themes and plugins. This might also mean creating content management systems. Creating informational products to help do-it-yourselfers. These could be books, audio, or video courses. It could mean information behind a paywall. The focus of all is on teaching. 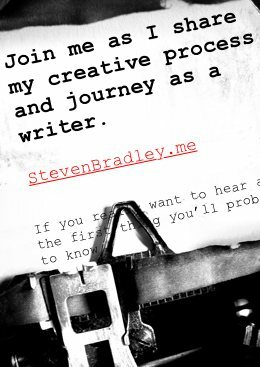 Becoming an expert with services like Squarespace or Wix. This isn’t so much adding scale to your business as it is taking advantage of scale others have built. If you currently work with WordPress, Drupal, Expression engine, or some other CMS, you’re already adding some of this value. It might take longer for the changes in the market to affect you, but they likely still will and I’d sooner look for a way to add scale directly to your business. Join an agency or form one with several freelancers you know. Work with others who complement your skills to make the whole of the agency greater than the sum of the individual people working in it. Add more specialized and focused services. Instead of general web design and development, be an expert in conversion optimization or build sites for specific industries instead of all of them. Improve your skills as a designer and developer far beyond where they are now. Develop a unique and recognizable style. Ideally clients will ask for you by name or at least know they want the person who did your work. Be a more unique you and a more unique and better designer or developer. The most talented and skilled will be able to remain freelancers if they want or they’ll be able to pick and choose from the best employment offers. Improve your skills with visual storytelling. Improve the aesthetic quality of your work. Develop an unmistakable style. I think the part of the web design and development market served by freelancers is shrinking. Off the shelf solutions are becoming good enough and pulling clients away from freelancers and small agencies. In house teams are doing the same from the opposite end. It’s a sobering thought. It means no matter how well your business is doing today, you’ll have less clients in the not too distant future if you continue exactly as you are. You may be doing well enough now to brush this off as nonsense, but I urge you not to, at least not without giving it some real thought and observing how others in the industry are doing. A smiling curve can help explain what’s going on and even if you don’t agree that a smiling curve can be applied directly to our industry, you can still agree with the suggestion it offers to add more value to your business. That means moving left or right along the smiling curve. To the right you add value by adding scale to your business and to the left you do the opposite by differentiating your business in a way that’s makes it difficult to scale. Despite the topic of a shrinking market, I hope I’m leaving you with more positive thoughts this week than I might have last week. At least I offered some ideas for what we can do. Over next few weeks, I want to dig deeper into the solutions and offer more thoughts about how we can successfully move to the end points of the curve and continue to have a successful businesses down the line.